“I am an avid cyclist and have cycled for well over 10 years and have traversed much of the city. It was the first week in January this year and I was about 7km into a 16km cycle ride, when a lady suddenly opened her car door & sent me literally flying; she was in one of those huge SUV type cars with tinted windows so there was absolutely no way I could have seen her to stop or swerve & I am ALWAYS watching for that too. I had a head wind so I wasn’t going at full speed thankfully, but the force of it all still flattened me onto the busy road & I knocked my head back hard against the road (ironically it wasn’t my helmet that saved my head it was the round plastic adjuster on the back, otherwise I am sure it would not have been pretty). Sorry to hear about that Helen; I hope you are slowly on the mend. 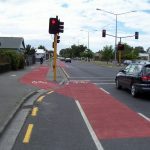 ‘Dooring’ is still one of those ongoing problems for on-road cycling. This earlier article on dooring I wrote might be of help to some of you, providing some advice on the matter. Have you ever been ‘doored’ before? It happens more often than we think. I have been doored 3 times in 10 years. The last one was worst. Off work over 8 months. My body will never heal properly, and the driver was a trucky who should have known better, but was distracted. I now only cycle on designated cycleways, never on the road again. Over many years of commuting I expected around 2-3 dooring incidents a year, so I always ride far enough out to be safe from any vehicle door. I’d also strongly recommend hi-vis always and multiple lights as often as possible. As to blocking traffic, I put my safety first. Dooring is a seriously under-reported issue, because most of us wouldn’t know that it’s possible to report, let alone who to report it to. And would the Police take us seriously if we reported an incident? It might depend on which officer you happen to talk to. I’ve been doored twice, though was far enough away both times to not actually get hit off my bike. 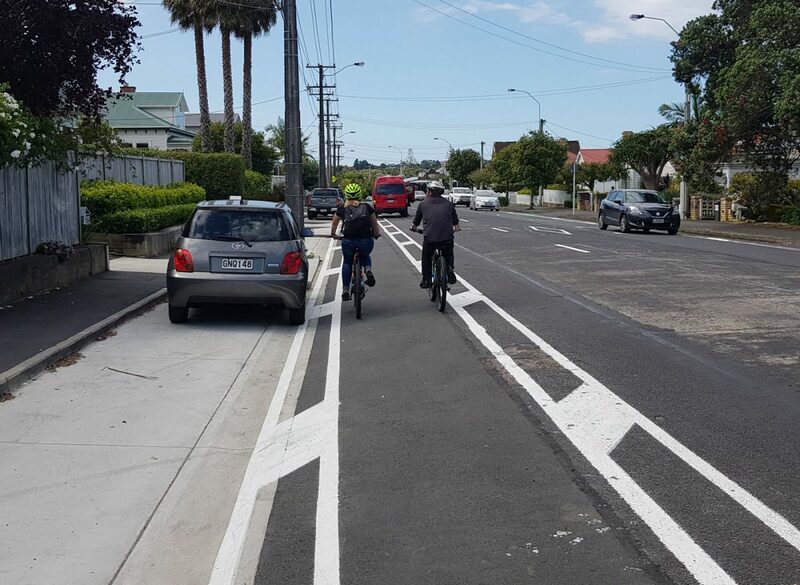 I always ride at least a metre out from parked cars – I know that if I’m even close to being able to reach out and touch the car, then I’m too close. I personally know 5 people who’ve been doored and knocked off their bikes. One had his foot sliced open by the bottom metal flank of the car door, needing surgery to reattach something in his foot. Cast and crutches for 6 weeks. Please please everyone, take the space you need away from parked car doors. We might get yelled at occasionally by the odd person driving who doesn’t get it, but that’s worth it to keep ourselves safe. Here in Europe and in the UK in particular (have lived as an expat in the UK and France), since the legal obligations is for the driver to check before opening their door it would be enough to take a photo of their car including the registration plate if one was carrying a smartphone. Next make a complaint to the police if you can and phone up one of the many lawyers specialialising in accident compensation law if they haven’t already contacted you. This almost always results in a £10000 plus payout to the victim by the guilty party’s insurance company. That doesn’t help if you’re fighting for your life in hospital or dead but short of that it remains an effective deterrent to motorists when they know they can effectively be sued. Thanks Tom. In NZ the legal obligation is similar; however personal injury is largely covered by the national Accident Compensation Scheme. You can probably claim any property damage to your bike from the driver’s insurance, and then it’s a case of getting Police to charge the occupant, typically for just “cause hazard with motor vehicle doors” ($150 infringement fine), although in a more serious outcome they might consider “careless use of a vehicle causing injury/death”.